Margaret Hespen the Art and Spanish teacher from North Clackamas Christian School sent us this fun photo. 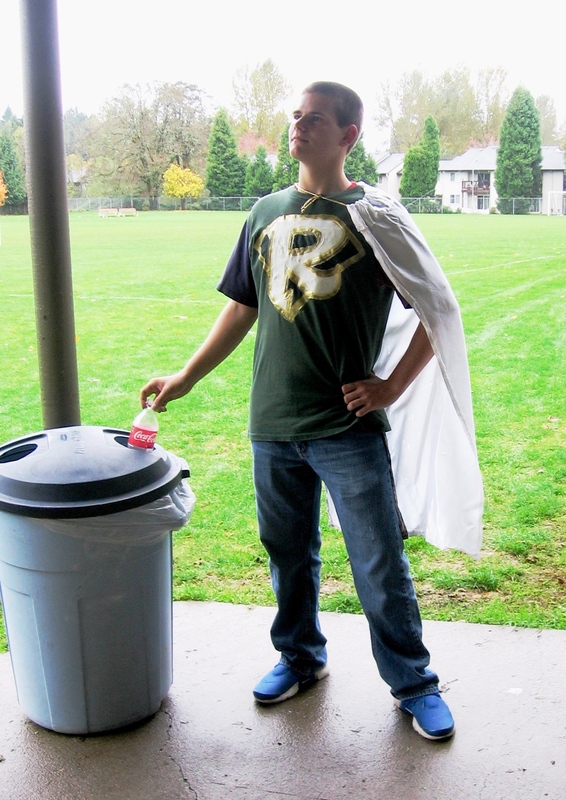 At their Merit Level school, RecycleMan with his sidekick RecycleBoy (next year’s RecycleMan) makes periodic appearances in skits and announcements to encourage responsible recycling of cans and paper. What a clever way to engage the students Margaret. Thanks for sharing!